Get ready for a totally hands-on experience. Enter the fascinating world of materials and get a glimpse of where materials science might take us. Uncover the surprising science behind everyday stuff. Go ahead – crush it, zoom inside it, transform it. 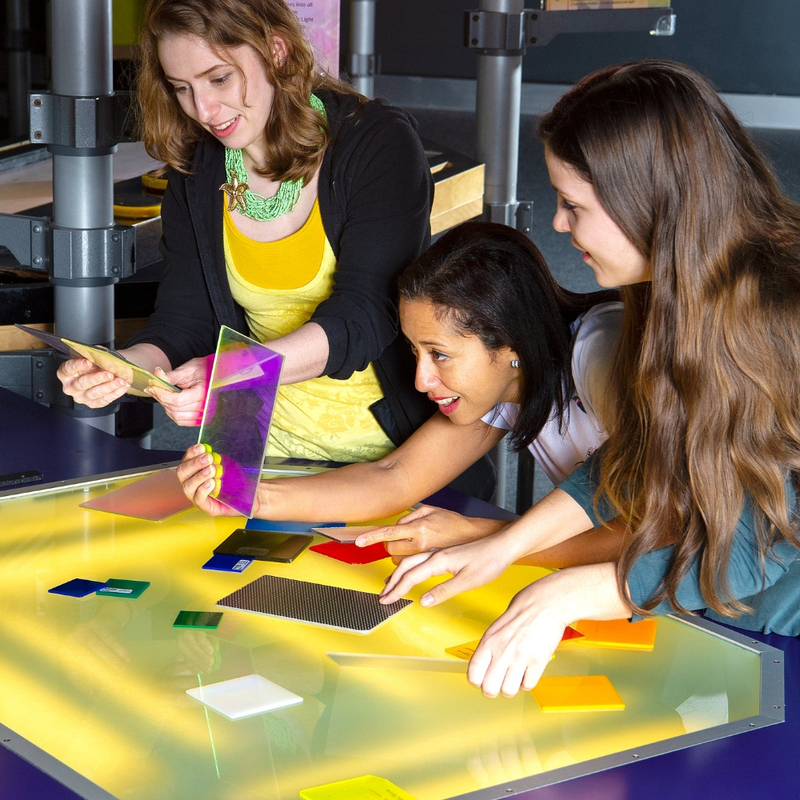 Discover the secrets of everyday stuff in Strange Matter, on Levels 2 and 3 of the West Wing. Strange Matter delves into the world of materials science, or the study of “stuff.” A dynamic blend of physics, chemistry and engineering, this field of research studies how things are put together, how they might be improved or how they can change to create brand new materials. From metals to crystals to magnets to glass, Strange Matter gives you the chance to dig into the science behind the materials they use every day. The exhibition uses science to explore the bizarre world of modern materials and provides a glimpse into where the future of these materials might take us. 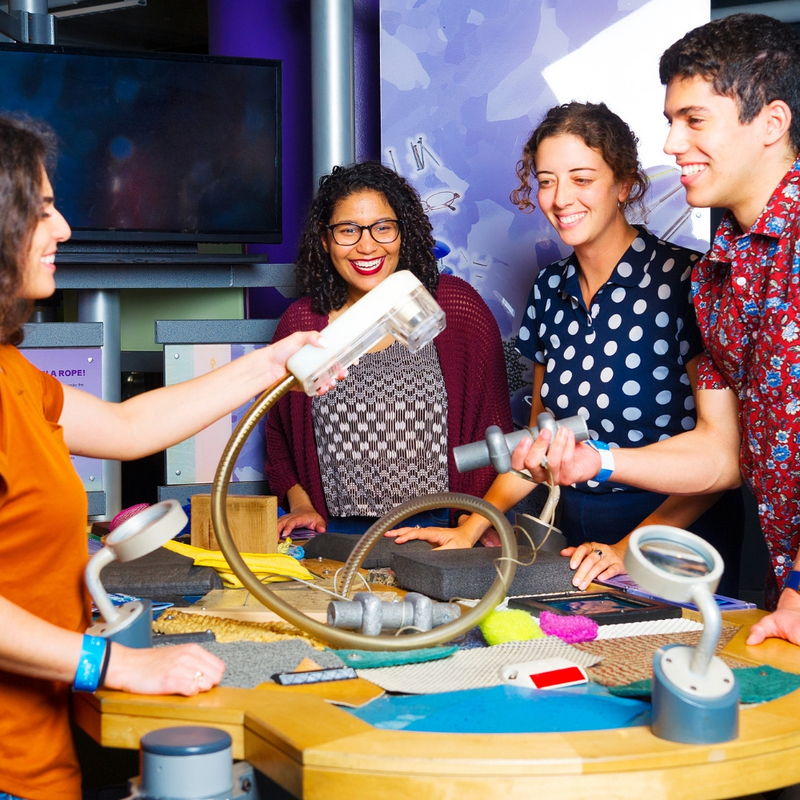 In Strange Matter, you’re invited to interact with over a dozen hands-on activities to investigate the very structure of these materials and discover what gives them their intriguing and remarkable properties. The exhibition captures advanced materials used in high-tech fields such as the space program and cardiac surgery and reveals them in more common places, from the shoes that you wear and the dishes you eat off of to the bike or skateboard you ride. 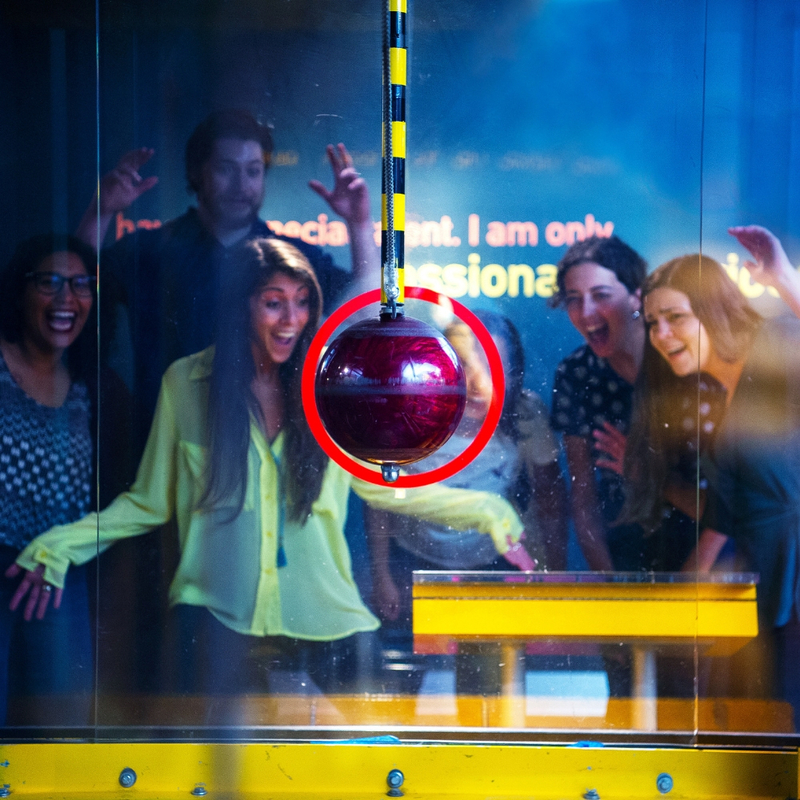 Smash the Glass: Discover the amazing properties of heat-tempered glass as you crank up a bowling ball and let it fly. Will it take ten seconds, ten minutes, ten hours, or ten days of repeated impact before the glass will shatter? Amazing Magnetic Liquids: Ferrofluids are liquids that respond to magnets. Use magnets to manipulate pools of ferrofluids, making them jump and dance. Amorphous Metals: The unusual structure of amorphous metals makes them incredibly hard. “Test” different metals by dropping ball bearings on five different materials simultaneously. Crystals: See one of the world’s largest crystals, learn where crystals are present in everyday objects and watch the beautiful growth of a crystal’s intricate patterns. Memory Metals: Use a robotic arm to bend and twist a Nitinol metal ribbon, a startling example of a metal with a “memory,” then see it return to its original shape with the addition of a little bit of hot air. Strange Matter will be on view through Sunday, October 13, 2019 on levels two and three of the West Wing. Admission to Strange Matter is included in all museum admission tickets. Strange Matter is presented locally by HEICO Corporation. Strange Matter is produced by the Ontario Science Centre and presented by the Materials Research Society. This exhibition and its tour are made possible by the generous support of the National Science Foundation, Dow, Ford Motor Company Fund, Intel® Innovation in Education, Rio Tinto Alcan, and the 3M Foundation. Bone, muscles, fingernails, hair and skin are all examples of different types of materials found in your body with remarkable properties that help you survive.